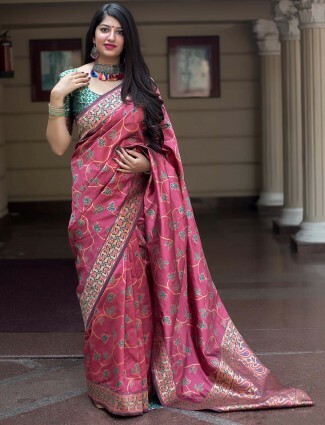 At G3+ Fashion, we bring you a mesmeric array of ethnic sarees to look your gorgeous best for every occasion of weddings, Receptions, parties, festivals, events and casual work day wear. 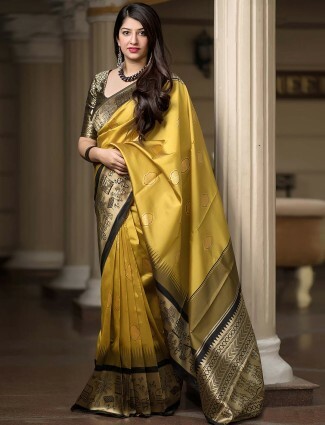 Buy Indian Sarees online at G3+ Fashion in colours ranging from red, white, black, blue, green, yellow. pink and many more. 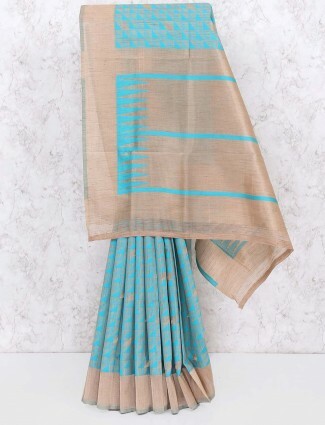 The sari word leads back to the Indus Valley civilisation, the word comes from Sanskrit meaning a strip of fabric, and this is how the word sari has been part of our era, known to be a traditional drape of cloth for women which is approx. 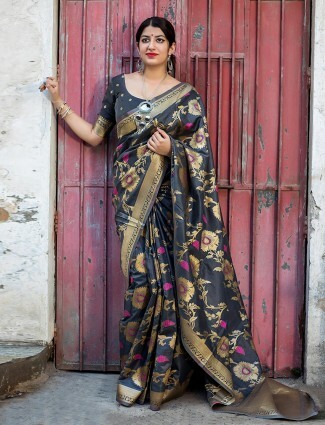 5-6 meters and is draped in different forms according to cultures and parts where sarees are worn. 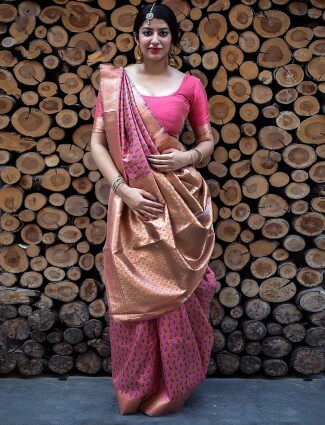 The main basic style today known as the Nivi style saree drape, this was a the fabric worn alone and later after the Persians introduced the saree blouse worn with the drape as a top wear, known as fitted cholis. We offer some of the most different saree types for wedding wear all over India. Take a look at the top wedding sarees online designer styles for brides or wedding guests too. Choose from our affordable range of wedding designer sarees, silk sarees in different types, embroidered sarees or the net half half sarees. Our range of sarees for brides range from traditional sarees like Maharashtrian Sarees for brides in Paithani, Gujarati Sarees in Patola, Rajasthani Bandhej Bridal Sarees, Baluchari Saree for Brides, Kanjivaram and Banarasi bridal sarees. We have much more styles for brides to shop sarees in their specific budget on our website G3 Fashion. 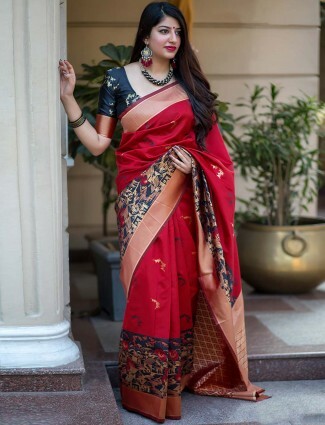 The styles of Today’s modern era in Saree styles are nevertheless more charming when it comes to shopping for Party wear sarees. 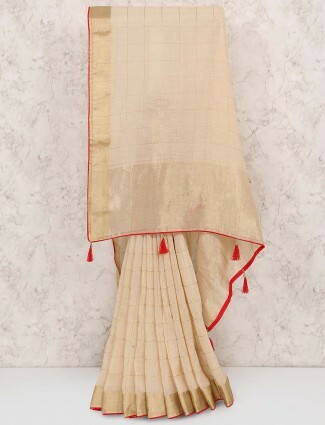 Shop dhoti sarees or ready to wear sarees ranges for easy saree draping. Go for net embroidered party sarees or a plain saree with work border and ready made blouse to look like a star. G3 has it all in new fabrics and designs of party wear saree collection online. 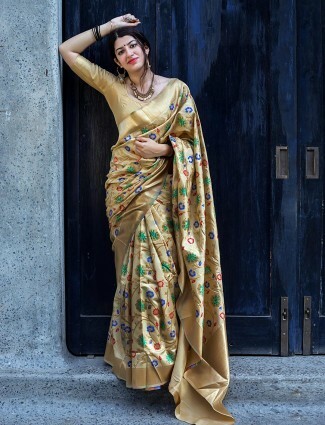 If you just love sarees and are keen to wear those everyday, our collection of online casual sarees for work wear can never get you out of fashion! 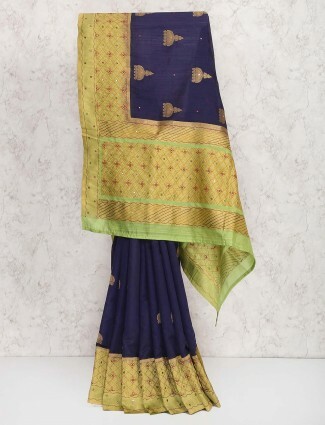 Try our cotton sarees or linen sarees in weave designs to printed casual saree. 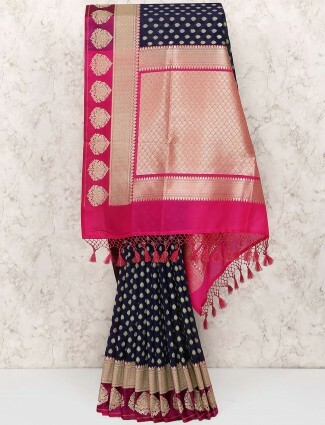 Go for Comforting georgette, crepe and chiffon sarees online at g3fashion. 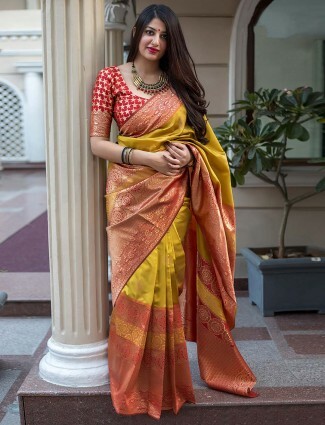 No matter wherever you are located, G3fashion,com has your choices all soughted when it comes to buying online sarees from India for festivals away in foreign countries. 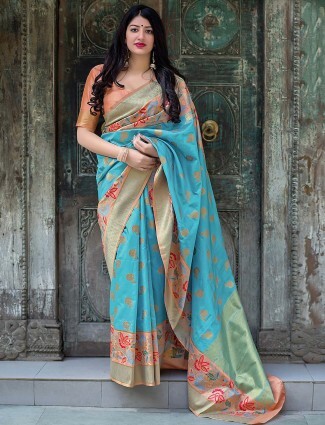 Shop for latest silk sarees for Diwali, or white and red sarees for Durga Puja and other festivals. 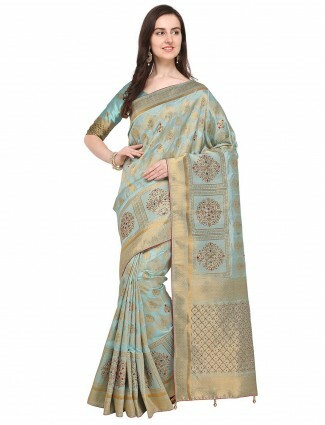 Also choose from Budget range of sarees in semi silk, cotton silk, bhagalpuri saree for Indian festivals. Women would love to style a Wedding Party saree for Engagements. We offer some of the latest trends of engagement sarees to suit your desire or styles in designer wear sober look to heavy look. Choose from Saree gowns or pre-stitched sarees online and also find elegant sarees at g3fashion to wear in different draping styles for your occasion. 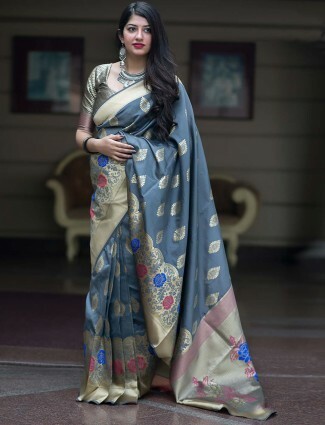 Try our top designs of sarees for all occasions at G3 Fashion, with starting prices as low as INR 799 and get best quality of our saree collection. Get worldwide shipping and Ready to Ship Saree collection to choose from. We also provide readymade blouses to match with sarees and style your look on your own with mix and match. 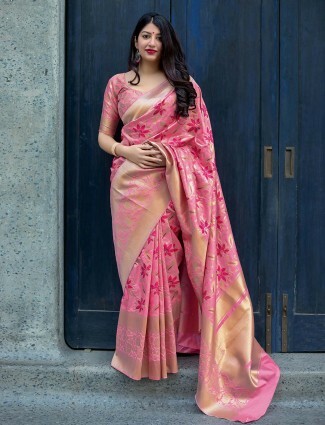 We are the Top choices for Saree shopping in India from countries like United States, Canada, Australia, United Kingdom, Dubai, SIngapore, Mauritius, South Africa, New Zealand are just a few to name.